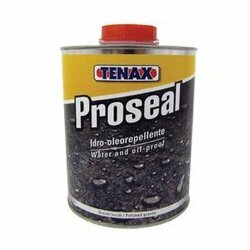 We are ranked amongst the foremost firms that are engaged in trading and supplying a wide range of Proseal Sealant. The offered sealant is processed by using high quality chemical compounds and modern technology under the guidance of vendors' skilled professionals. Moreover, the entire range is a very good sealant for marble, granite, and sandstone. We offer this sealant in various specifications for our clients.